The Lift Res-Q is a rescue, decender and lifting device for up to two people (maximum combined weight 225kg) that can operate to a height of 300m. 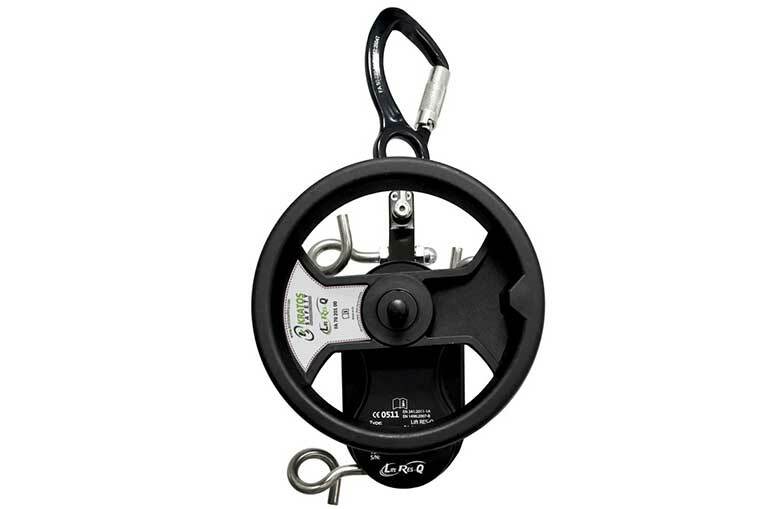 The descender function allows you to lower 1-2 people at a controlled speed of 0.8m/second. The recovery function enables evacuation of a casualty by a rescuer using the hand wheel or an electric screwdriver. 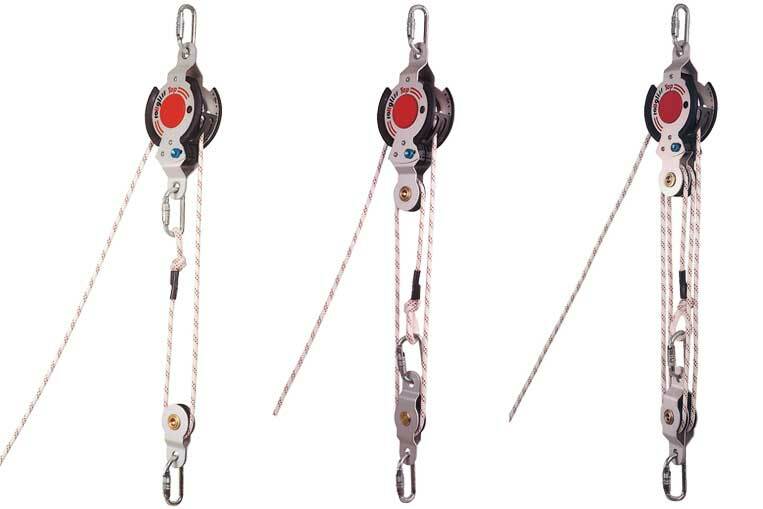 The descender can be set to operate as a shuttle system so that multiple people can descend from a work platform for instance. The lower karabiner is returned to the top of the unit as one person is descending. Once they have disconnected the next person can connect and begin their descent. 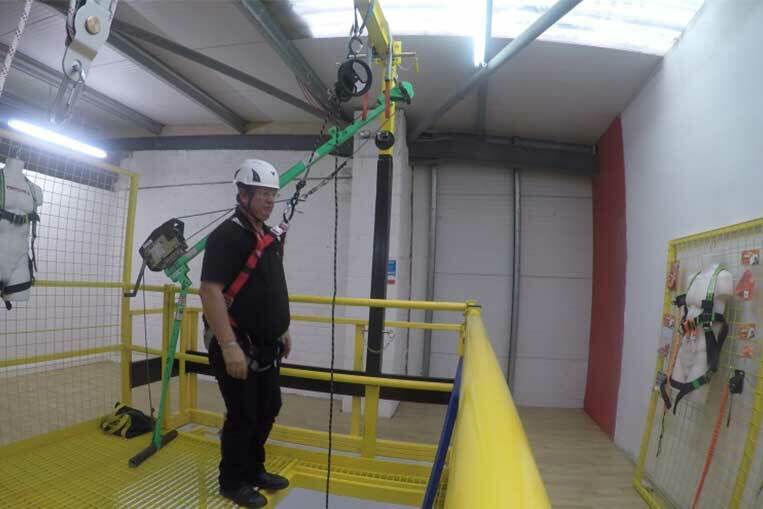 We recorded a video of our trial of the Lift Res-Q for emergency evacuation. The recovery function can be used in two ways. 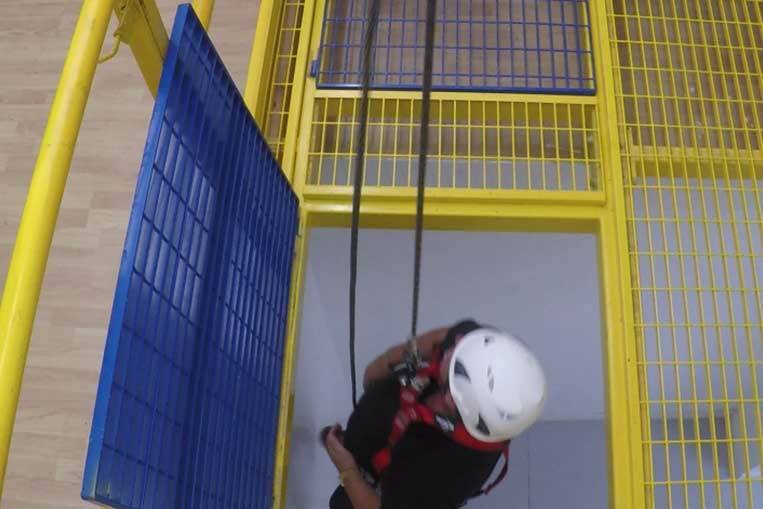 The rescuer can set the unit so that they can descend to the casualty then use the containment loops and acentric rope stop to lock off at the height required. The casualty can then be connected to the Lift Res-Q device. The rescuer then lifts themselves and the casualty to safety using the hand wheel. Optionally the rescuer can lower them both downwards. 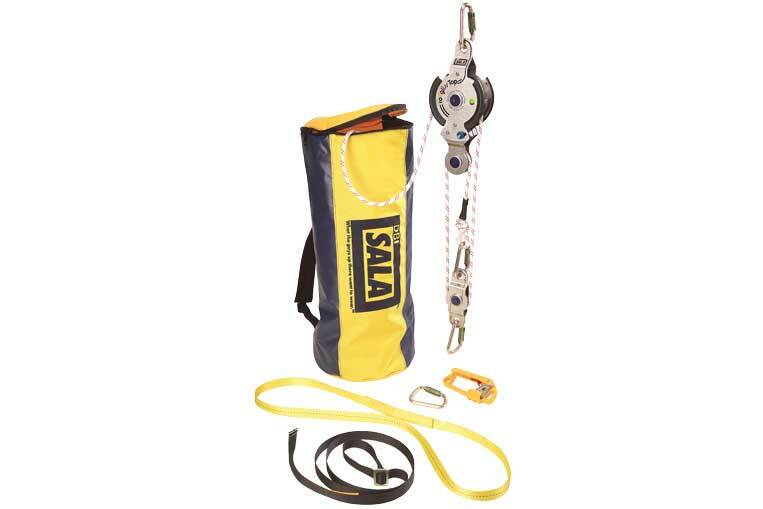 The recovery function can also be used by passing the karabiner to the casualty for connection to their harness or by using a rescue pole to make this connection. The hand wheel or an electric screwdriver can then be used to raise the casualty to safety. 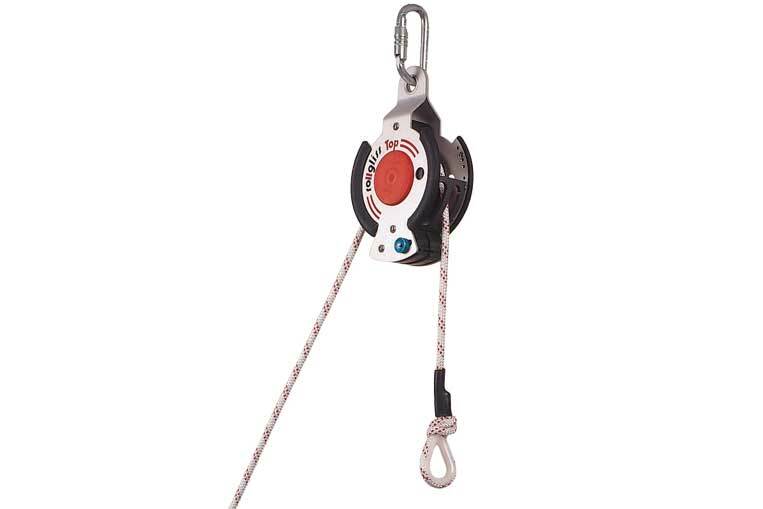 The Lift Res-Q may only be used as a rescue, descender and lifting device and only for transporting persons. It must not be used as a suspension system for work positioning. We can supply different length ropes please contact us on 01404 43000 / 44007 for a quotation. 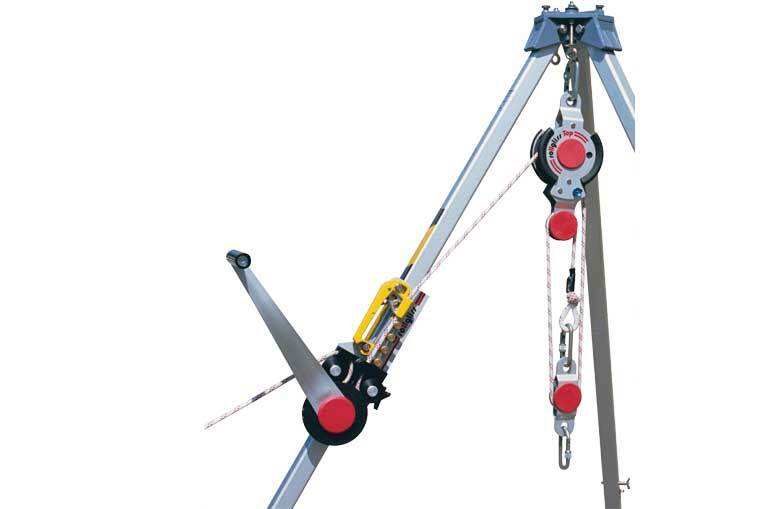 Lift Res-Q with User Specified Rope length P.O.A. An inspection is required annually or every 6000m of rope. Rollgliss make the ideal answer for your rescue plan from towers shafts and chimneys. Available in ready made sets tailored to the fall you require. Rollgliss Rescue Kits give you all that you need to control your emergency rescue. Make sure your height safety plan includes rescue, the part most overlooked. 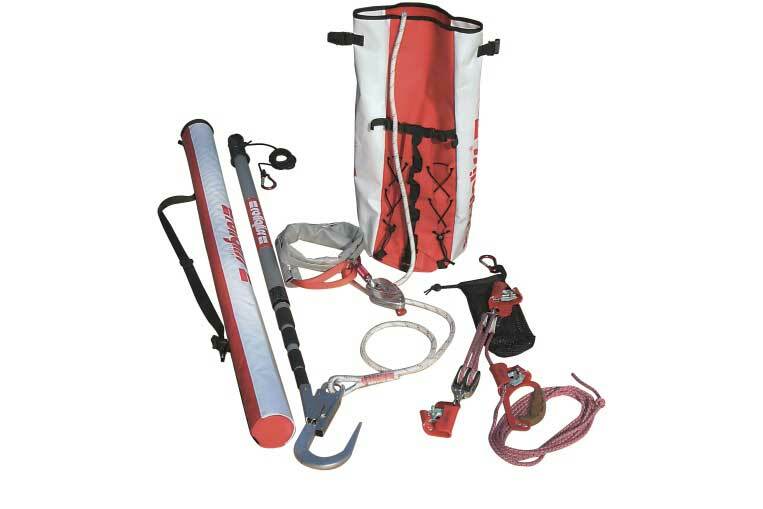 The Rollgliss Rescue Kit is available in varying lengths dependant upon your height safety requirements. 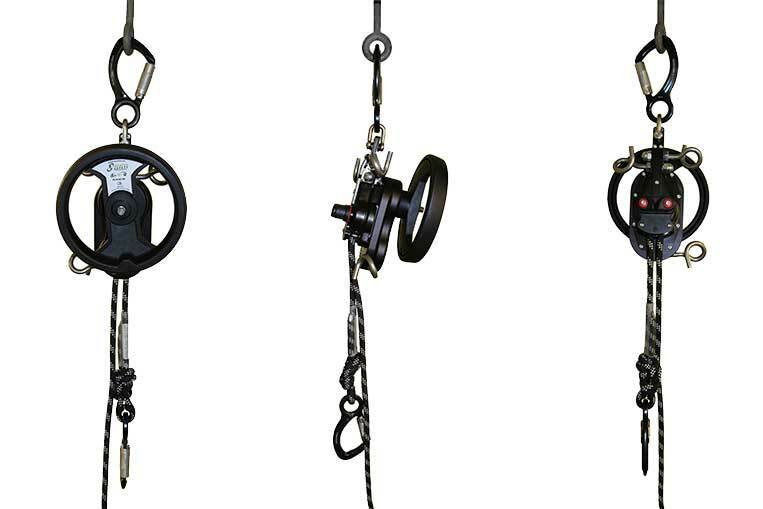 Standard sets are: 10m, 20m, 30m, 40m, 50m and 70m, but we can also have a set made to meet your specific requirements. The Rollgliss R350 is the base model which is available in 3 further formats, offering a 2:1, 3:1 and 5:1 reduction system dependant upon your requirements. The R350 man riding winch can be used for working or rescue, this unit comes into its own for chimneys and towers masts. The operative can self ascend or lower to his given task, the R350 also allows for a top man to have control, allowing him to recover the operative if the need so arises. The R350 in its 5:1 ratio can also be used to recover 2 operatives at once, making it a very practical recovery system. The fall required is worked out on which unit is ordered by the ratio, a 2:1 for instance with a 50 metre rope fitted would give a fall of 25 metres, where as the 5:1 would have a fall of 10 metres. We have listed a number of options but these units really need to be built to operational or risk assessment needs.